Arnold, MO - February 2, 2011 - To most people a home consists of a furnace and an air conditioner, both expensive items to install or replace. One is located inside the home; the other on the outside. One unit heats; one cools. Seems simple enough, yet there is so much more connecting these two devices. In fact, without both units functioning together, along with other connecting pieces, the devices do little good to serve their purpose. The outside unit is commonly known in the HVAC industry as the condenser. Perhaps it is common to conceive of the condenser as a machine of its own, but in reality the condenser is a housing for several components, which connect to perform an operation. The condenser needs a compressor, coils and a fan as the minimum of components to complete the job of condensing. In brief, the condenser's function is to convert. It receives a substance from the inside unit and once the conversion is completed, the converted substance is passed back to the inside unit. A general understanding of how an air conditioner works will reveal the role the condenser plays in cooling a home. The primary operation consists of transforming a liquid to a gas and back to a liquid again. The indoor unit begins with a liquid refrigerant which transforms into a gas. After the inside unit has performed its function, it passes a low-pressure refrigerant gas to the condensing unit outside. The job of the condenser is to move the substance through a process to convert the gas into a liquid, which will be sent back to the indoor unit so the process can be repeated. Once the condenser receives the gas, it travels into the compressor, which forces the low-pressure gas into a smaller space. This force creates a hot high-pressure gas. This hot gas is sent to a heat exchanger or through the condenser coils, also housed by the condenser. A fan inside the condenser housing, which is often visible near the top of the outside unit, pulls outside air over the heat exchanger (or condenser coils depending on the style of the unit). The fan cools the contents of the heat exchanger, i.e., the gas releases the heat it contains when cooled by the fan. This is when the conversion from gas to liquid takes place. The liquid is transported back to the inside unit where the process can be repeated. With all the gas and liquid passing back and forth from the inside and outside, one can imagine the importance of keeping the lines clear of dirt and debris. While difficult to take action Plastic Caps and Plugs Protect Condensers From Harsh Elementsafter the units are installed in a home, the manufacturers within the HVAC industry know the value of keeping each new component free and clear of dirt and moisture before installation. From start to finish in the production of a condenser, manufacturers can use a very small part in a very big way to protect the unit. Plastic caps and plugs are used to cover ports keeping items free of contaminants. Plastic caps and plugs are instrumental to protecting condensers from harsh elements. Like the manufacturers, StockCap knows the importance of safeguarding HVAC components from dirt, dust and moisture. 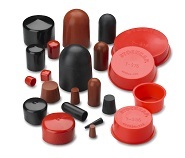 StockCap produces plastic end caps, vinyl caps, tube end caps, tapered plugs and rubber seal plugs, which work extremely well with copper tubing often found in HVAC units. To assist members of the HVAC industry, the StockCap website displays the best options specific to each major component. The StockCap online store provides smaller quantities to help during the prototype and testing phases of component design. For more information on plastic caps or plugs call today, 800-827-2277 or visit the StockCap website.